AvaDent Digital Education Solutions | Media Sent to You! You can't view the content anymore. It has been over 7 days. Please contact your dental practice. On this page, each user can have their own favorites media to choose from. In media items, you will notice a grey star . Click on it, and it will turn yellow . The item is now stored on this page. The favorites on this page are placed in their media sections. Animations, Slide Shows, Documents and Presentations. You can only favorite media items in the Media section of Case Genius. To remove an item from your favorites, click on the yellow star. . The page will reload, and the item will be gone. 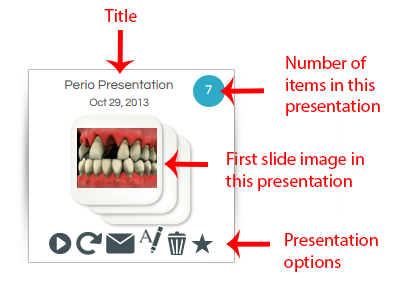 Custom Presentations for your practice are stored on this page. These are NOT patient presentations. Custom patient presentations are in their section under patient's name. There are two main actions on this page: Create New Presentations, and View Presentations list. If you had the previous version of Case Genius, and you have created print list(s) for your practice, they are stored in the end of this page as "Legacy Print Lists." You can only view/print documents and email them. 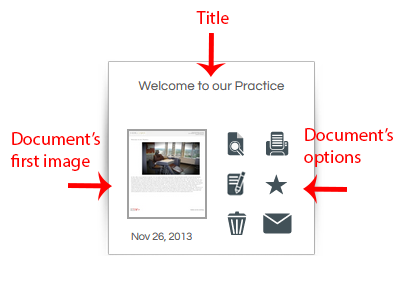 Custom Documents for your practice are stored on this page. These are NOT patient documents. Custom patient documents are in their section under patient's name. There are three main actions on this page: Create Document Header/Footer, Create a New Document, and View Custom Doment list. You can print a document in this section for the general practice or for a patient. When you click the print icon, it will ask you who you want to print it for. If you do choose a patient, the document will include the patient's name in the top right hand corner. Images for your practice that you have uploaded are stored on this page. These are NOT patient images. 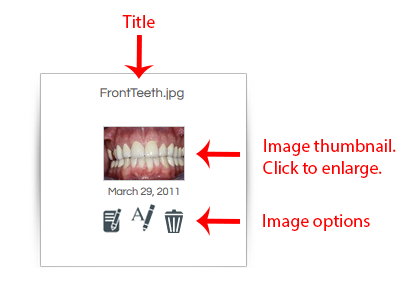 Images for your patients are in their section under patient's name. There are three main actions on this page: Add New Images, View Image(s) Gallery, and View Uploaded Image list. You can't upload images by your mobile device because it is a Flash uploader. Pre-made documents are the ones provided by AvaDent Digital Education Solutions. You can view the document, print it for practice or patients, and email it to them. If you do print a document for a patient, it will be stored in their history too. 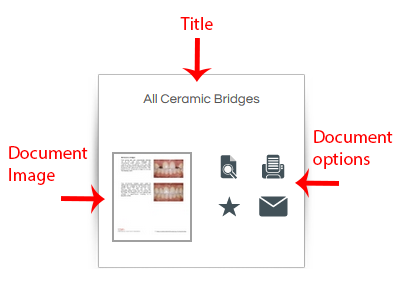 The image above shows a document with images that are copyrighted to AvaDent. We don't allow you to edit the document. However, we alllow you to edit text documents and save them as your own custom document. 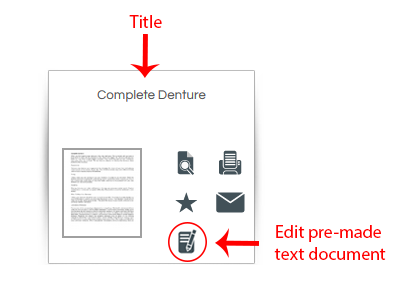 Text documents that you edit in this section are stored in the end of the page in the area called "Documents I Custom Created in this Category."